A Sussex A-road has been closed for hours and six people have been rescued from their vehicles following a collision this afternoon. 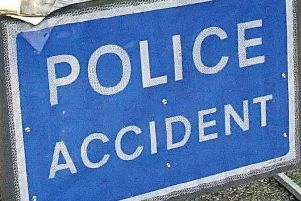 A Sussex Police spokesman said police were called to a collision on the A280 in Angmering, West Sussex, at 3.53 pm today, involving two cars and a van. One of the drivers was taken to Southampton Hospital by air ambulance with critical injuries, said the spokesman. Another driver was seriously injured and taken to Royal Sussex County Hospital in Brighton with their passenger, with two other passengers taken to Worthing Hospital with minor injuries. At the time of publishing, the road has been closed for over three hours while emergency services make the area safe. The incident has sparked an outpouring of support from the community on Facebook. Junee Thompson said: "Thinking of all involved and hope everyone is ok x"
Lexi Ayre said: "God help all involved." RJ Brockhurst added: "Hope All involved recover soon." This comes after a string of traffic incidents across the county this evening, including a cow on the A27 in Polegate.